When Lana Del Rey sings this phrase in "Young and Beautiful", it kinda struck me because in this superficial world, I'm no longer consider in the young and beautiful group, I'm totally out of the young clique! I won't deny that I'm aging, but I wish at least I'm doing it in an elegant way instead of giving up myself totally and just let things be. I guess the most horrible thing a female can do to herself is to give up looking pretty and confidence. Each and everyone of us may be have different perspective on the pretty-o-meter, but if you take good care of yourself, well-prepared yourself in both physically and mentally way, you can take the days ahead of you in a graceful way. Denying actual age and the fact we're all aging is just living in denial, it's not gonna benefit any aspect in life. And I guess from there I don't need to ask others for self-validation purposes such, phrases like in the lyrics: Will you still love me if I'm no longer young and beautiful? 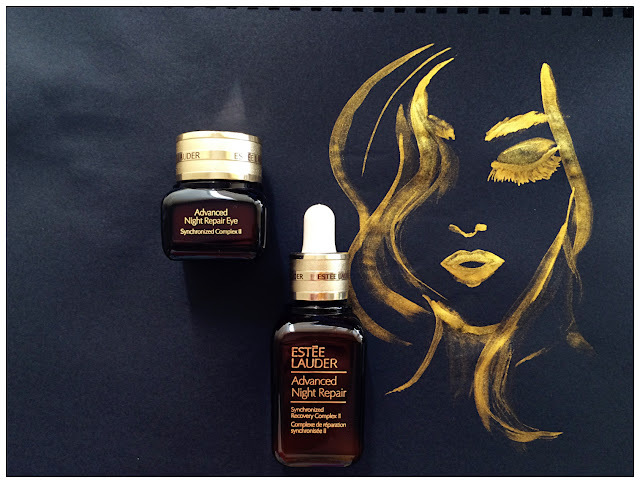 Because I know very well that I do love myself and I'm pampering my skin with Estée Lauder's Advanced Night Repair series, it is a moment of luxury that winds down the end of a tiring day for me, a treat for my skin. It's no longer a secret that our skin renew every night, it repairs the damage we suffered during day time such as pollution, sun rays and make-up chemicals etc. Slowly our skin's renewal process will slow down due to aging and eventually, it can't keep up with the damaging process and there starts the signs of aging. As for me, I'm not really a healthy lifestyle person to start with. I consume a lot of junk food, I barely drink enough water, I put on makeup on daily basis and worst of all, insomnia seems to attack me frequently of late. All these are adding up to the fact that my skin will probably aged more than those in the same league as me. As an urban female who striving to live her way in this fast pace city, I turn to Estée Lauder Advanced Night Repair series recently and I knew I made the right choice when my friends and work associates told me I look more radiant and my skin condition has become better. I have fine lines, wrinkles, dark eye circles and these are not even funny when they exist because as a model who needs to be taken photos of, I really need to look good almost all of the time! 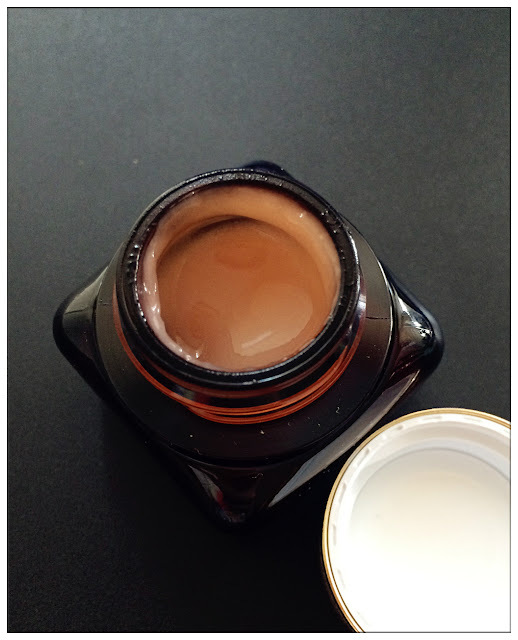 Using these silky cream gel Advanced Night Repair Eye Gel really gives me a boost to re-ignite the skin area around my eyes to a brighter and youthful pair of eyes. The skin around my eyes are less dehydrated, moisturized after two weeks of usage. I'm still looking forward to see more results in a long term usage. Really can't wait for my dark eye circles, puffyness and fine lines to be erased, or at least, faded. 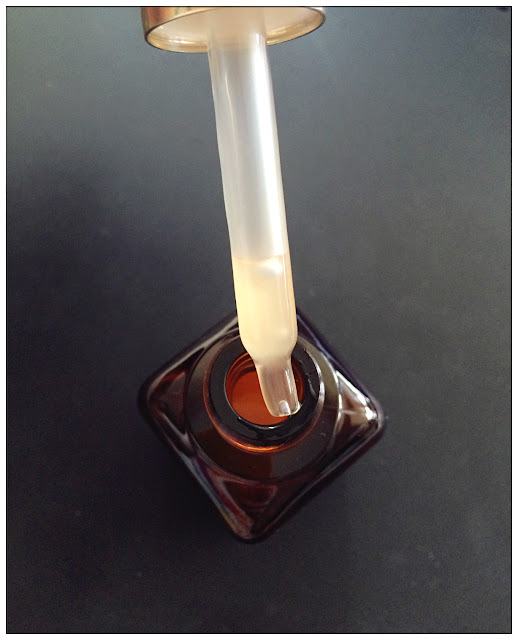 The #1 night serum in the skincare market, can I call this the Elixir of Youth? 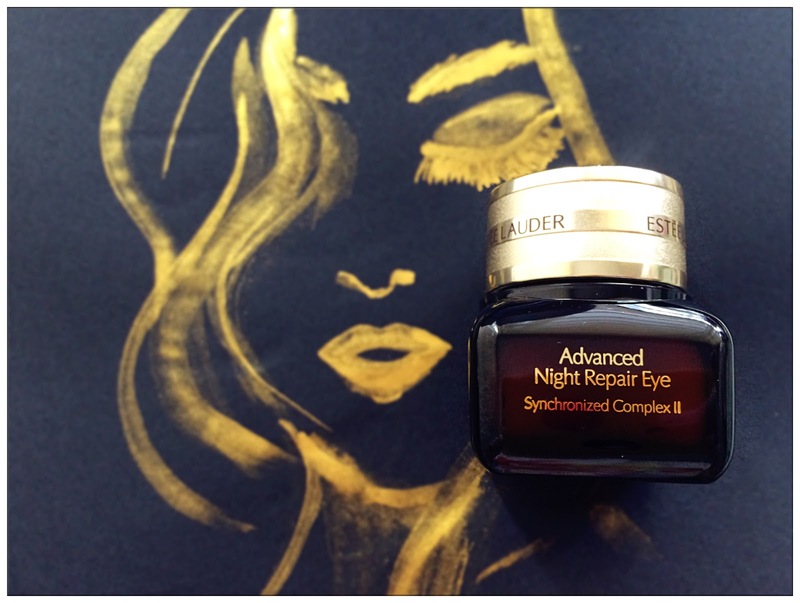 I'll use the words such as "dramatic changes to my skin" in order to described this bottle of 30 years research Advanced Night Repair serum by Estée Lauder. I've been hearing people complimenting improvement of my skin recently I even look at the mirror and doubting myself. lol. I apply 3 drops of serum every night before sleep, and I felt my skin is smoother and hydrated after two weeks of application. 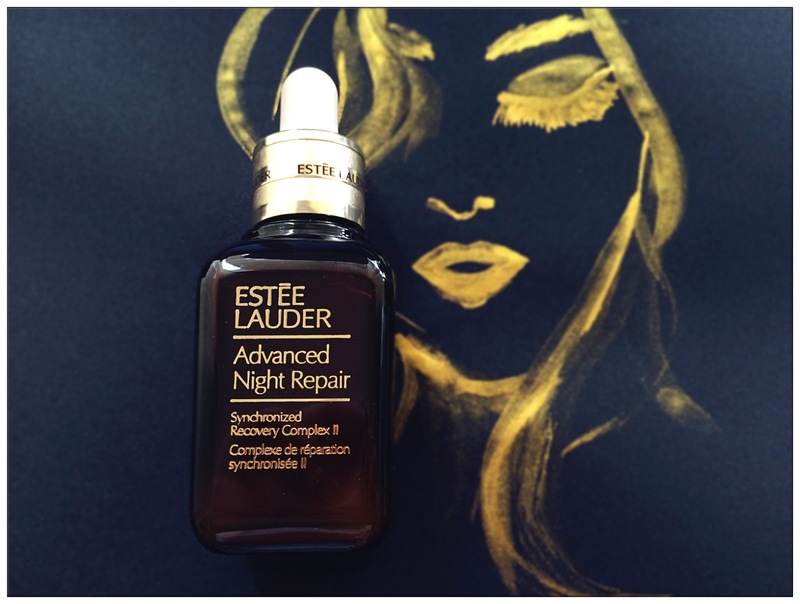 With its exclusive ChronoluxCB Technology (the advanced night repair eye serum contains the same technology too! ), it give a boost on the night-time skin renewal process, alongside with active ingredients such as algae extract and yeast extract, skin cells are pushed to increase their own catabolysis activity efficiency, and I'll be waking up to a radiant, smoother, younger looking skin everyday! This is my luxurious night time beauty ritual, what's yours?